Quack Medical Device or a True Cure? 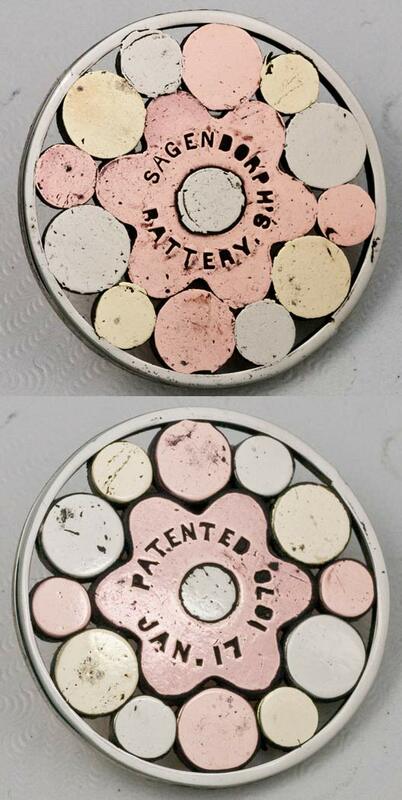 The 1870s and 1880s saw a new medical device that promised wonderful cures for almost anything that ailed you. This was just before the electrical revolution that began in the 1880s to 1890s when the new "wonder product" electricity was being applied to everything. 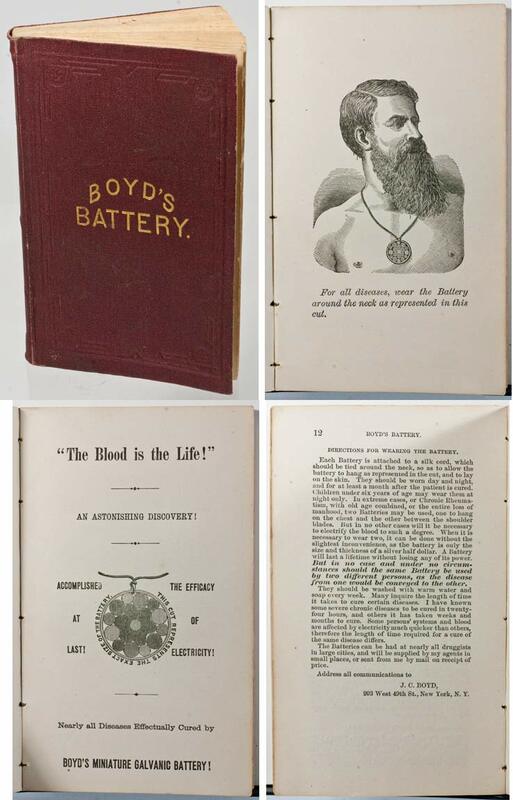 The most famous of the medical batteries was the Boyds Battery. They are fairly easy to find and they polish up nicely. They were made with different metals that promised to create a healing electrical current when pressed against your skin. The galvanic properties were released by the different metals reacting to the moisture in your skin. Some people claimed that they tingled as they worked to draw out the bad energies from your body and replace them with good energy. Boyds Battery came out in 1878 and was "improved" in 1879. 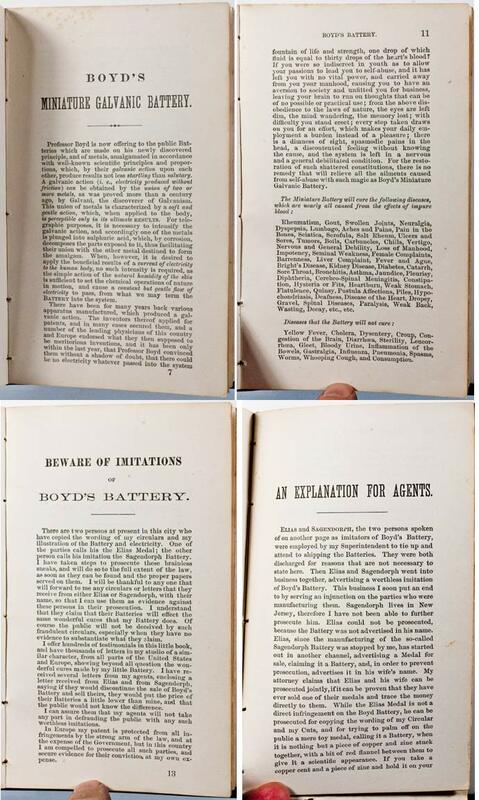 He writes in his book "Boyds Battery", that two of his employees stole his idea and created the Sagendorph Battery which was a direct knockoff of Boyd's design. 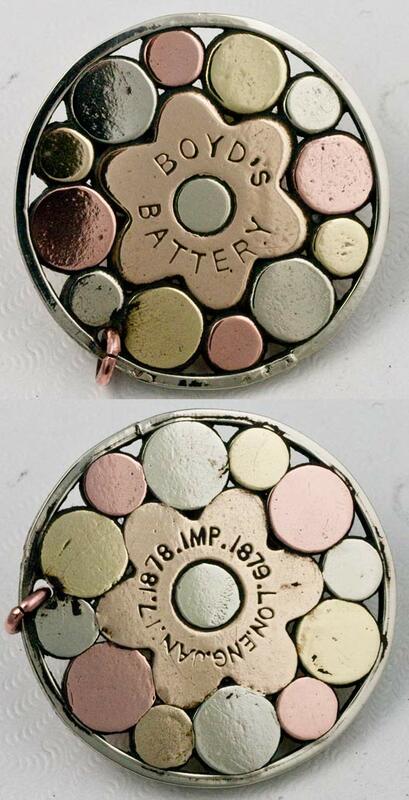 Boyd claimed that their battery was just a combination of metals that did not do anything as opposed to his battery that was a combination of metals that did cure ills. 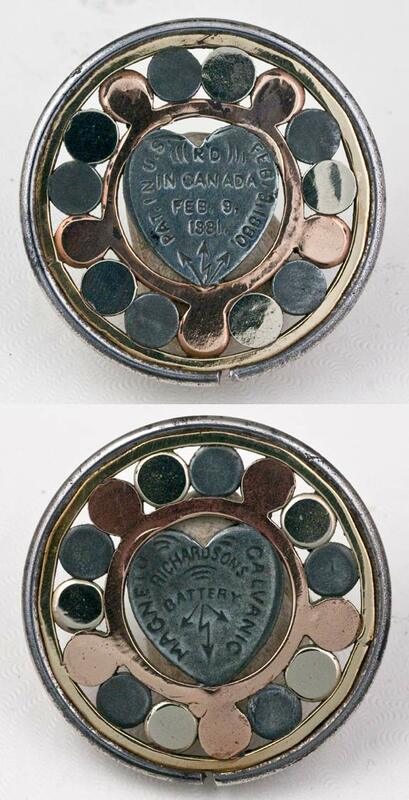 Whatever the truth, others followed and produced their own batteries - Richardson and Downing were two that I have found. There were also magnetic belts, shoe inserts, and other products that used either magnetism or batteries to provide some relief to your ills. 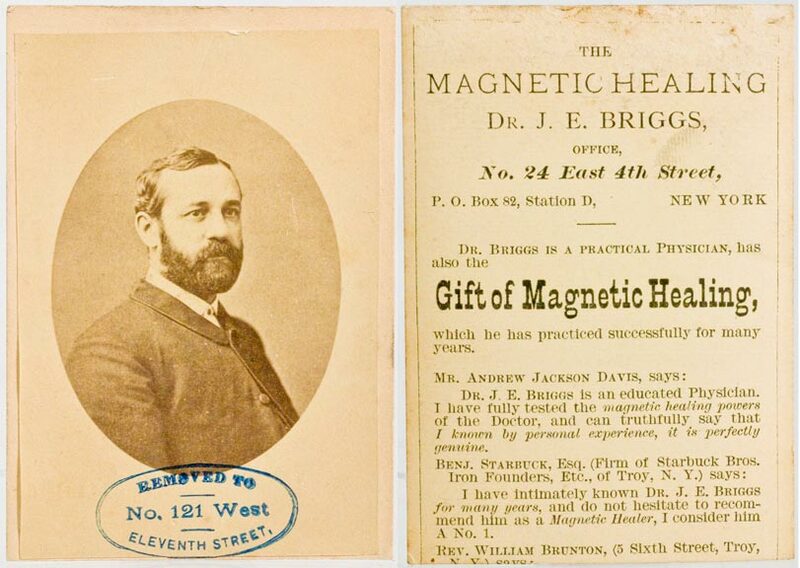 An interesting 1870s CDV photograph and advertisement for a doctor who did magnetic healing. The original Boyds Battery. Feel its energy! Only an inch and a quarter in diameter. Sagendorph even claimed that his battery was the first and that Boyd copied him. 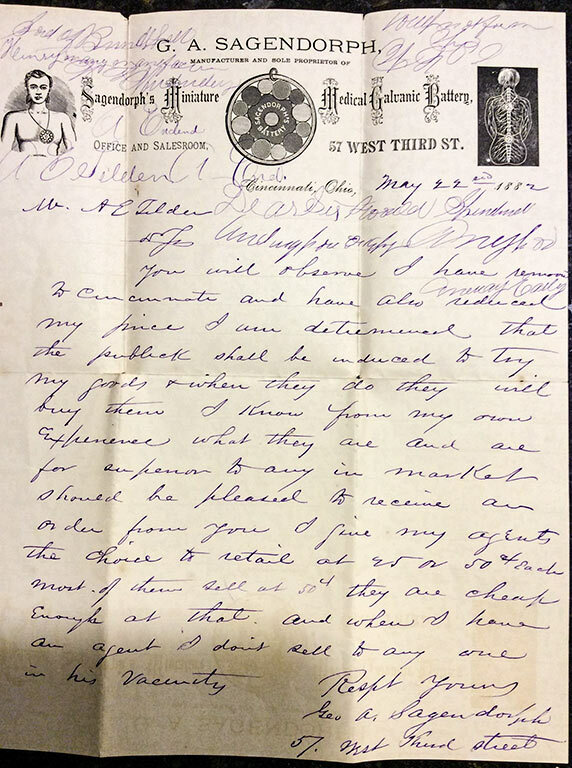 The letter and clear text of the letter were kindly brought to my attention and supplied by William Simms. OFFICE AND SALESROOM, 57 WEST THIRD ST. 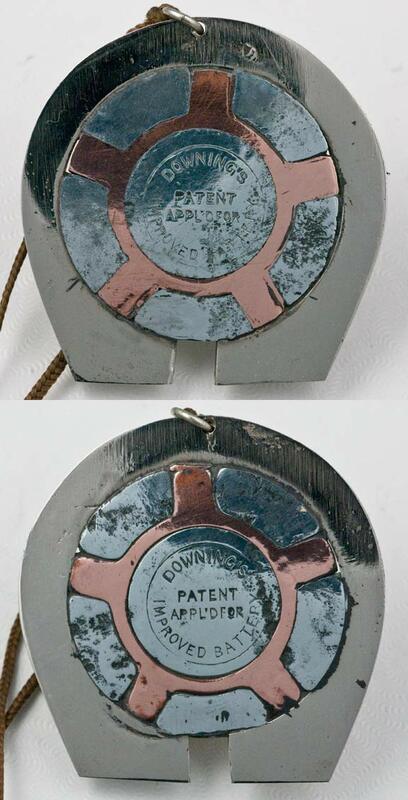 The original box that the Downings Battery came in. The 1881 Richardson's Battery. It was 1.5 inches in diameter. Copyright 2010-2019, Stuart Schneider. Do not use any images on this page without written permission.